6.1 This Phase involved the establishment of the Joint Committee in May-June 2014, and the scoping, evaluation and agreement of the inquiry terms of reference. It also included recruitment of support staff and administrative set-up29. 6.2 The Joint Committee was appointed by the Houses in May 201430. At this point, the 11 member Joint Committee had one specific purpose: to prepare a “relevant proposal” for a Part 2 Inquiry into the banking crisis. the anticipated time schedule for the proposed inquiry, including whether it was proposed to conduct the proposed inquiry in a single period or in phases. 6.5 The Joint Committee worked intensively over the period June to September 2014 to scope and agree the relevant proposal, assisted by an advisory group with relevant knowledge and expertise. The Joint Committee submitted its final proposal to the Committees on Procedure and Privileges of both Houses on 24 September 2014 and published it on the inquiry website. 6.6 The Committees on Procedure and Privileges (CPP) of the Dáil and Seanad separately considered and evaluated the Joint Committee’s proposal in a number of meetings in October and November 2014. Both CPPs engaged legal and policy expertise in preparing their reports31. 6.7 In their respective reports, both CPPs supported the establishment of the inquiry and endorsed the terms of reference, subject to including a reference to the role which Ireland’s membership of the euro may have played in the crisis. 6.8 As the CPP processes were conducted separately, two separate references to the euro were included in two different parts of the terms of reference motion. As the text proposed to both Houses is required to be identical, both references were included in the terms of reference motion. 6.9 The Joint Committee recommends that the CPPs of both Houses consider a joint approach to considering Relevant Proposals for the conduct of inquiries by Joint Committees. This will avoid the risk of contradictory or conflicting amendments to terms of reference proposals and should also be more efficient from a timing and cost perspective. 6.10 Based on discussions on legal advice received after it had completed its original proposal, the Joint Committee subsequently submitted a supplementary proposal to CPPs in November 2014. The supplementary proposal requested the adoption of Standing Orders to provide that all Joint Committee members must be present for the hearing of witness evidence. Both CPPs declined to accept the supplementary proposal as they were already engaged in their consideration of the Relevant Proposal. The Joint Committee therefore requested the Government Chief Whip and the Leader of the Seanad to table the necessary motions, which they agreed to do. 6.11 While the Joint Committee understands the legal consideration underlying CPPs refusal to accept a further proposal, it believes that this is a very rigid approach which may not serve future inquiries well and that there should be scope for dialogue between the requesting Committee and the CPPs if needed. 6.12 The Joint Committee recommends that the CPPs consider ways to engage and dialogue with a requesting Committee if needed for the purposes of clarification or improvement of a Relevant Proposal as part of the process of CPP consideration under Standing Orders. 6.13 The debates on the CPP reports and the inquiry terms of reference took place in the Dáil and Seanad on 25 and 26 November 2014 respectively. Both Houses passed Resolutions agreeing the terms of reference32 and also amended the Joint Committee’s Orders of Reference to formally establish it as a Part 2 inquiry under the Act. 6.14 The Joint Committee proposed a conceptual framework for the inquiry with two Inquiry Phases – a Context Phase and a Nexus Phase. 6.17 This phase involved 31 public hearing sessions on 17 days over 12 weeks, with 34 witnesses being called. 6.18 Public hearings were held with expert witnesses and other relevant witnesses34, for the purpose of information-gathering to inform the Nexus Phase. All public hearing witnesses in the Context Phase attended voluntarily. 6.19 The Nexus investigation phase ran in parallel with the Context Phase. The Joint Committee met in private session throughout the Context Phase to plan and agree directions for documentation, witness lists, witness submissions and to make the many other varied decisions required of the Joint Committee under the Act. 6.20 The Joint Committee is of the view that the Context Phase was useful in the particular context of the Banking Inquiry, however it may not be a model that would have general application to parliamentary inquiries. Given the long lead-in time to the formal establishment of the inquiry, one of the benefits of the Context Phase was that it enabled public hearings of the “long-awaited Banking Inquiry” to start just over three weeks after the Joint Committee’s establishment as a Part 2 inquiry. The Context Phase public hearings also allowed time for the Joint Committee to conduct the preliminary investigation and preparatory work for the Nexus Phase public hearings in private session in parallel with Context Phase public hearings. Finally, the Context Phase also allowed the Joint Committee to effectively road-test its new procedures through engagement with “arms-length”non-contentious witnesses who had not been directly involved as main actors in the banking crisis. 6.21 In the Nexus Phase, the Joint Committee engaged with institutions and individuals who had roles relating to the crisis, focussing on three broad elements — Banking Systems & Practices, Regulatory and Supervisory Systems & Practices, and Crisis Management Systems and Policy Responses — and how these three elements interacted with each other. 6.22 The Nexus Phase involved a move by the Joint Committee to compelling witnesses and statements and the use of core documents. This phase involved 64 public hearing sessions on 32 days over 14 weeks, with 97 witnesses being called to public hearings, in addition to 42 written witness statements for non-public hearing witnesses. 6.23 As outlined in Chapter 5, the Joint Committee designed and piloted a wide range of processes and protocols, in the form of the “Nexus Operating Model”. The Joint Committee also adopted a “Memorandum of Procedures” which was issued along with all Notices of Intention to issue a Direction. 6.24 The Joint Committee recommends that the Nexus Operating Model and Memorandum of Procedures be adapted and used for future inquiries and has decided to publish them with this Volume of the Report36. 6.25 As a first step in the Nexus Phase, the Joint Committee identified and agreed 21 themes to be explored, which in turn mapped to the terms of reference agreed by the Houses. Each theme had a number of key lines of inquiry. These came to 67 in total. 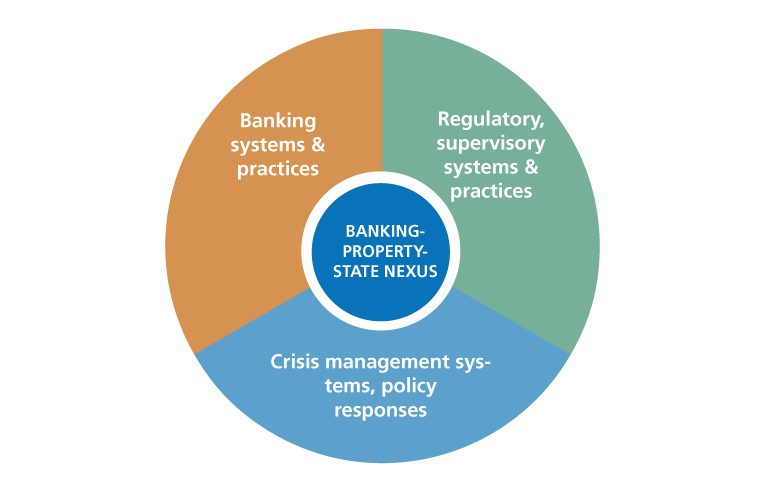 This framework37 set the scope of the Nexus phase in each of the three streams of Banking, Regulatory and Crisis Management. It also provided a content structure for public hearings, the evidence sought and ultimately the Final Report. 6.26 The Joint Committee decided to use its power to compel (or “direct”) the production of documents as a matter of general practice in this phase. This decision was taken for practical reasons, to provide certainty as to the date of receipt of document and to allow the Joint Committee to plan ahead. Witness attendance was compelled for the same reasons and also to ensure a consistency of approach to all witnesses. 6.27 A large volume of documentation was received by the Joint Committee. Documents were reviewed and sifted by analysing relevance against key lines of inquiry and possible questions for witnesses. Documents selected as relevant were included in “Booklets of Core Documents” which were printed for use in the public hearings by Joint Committee members and by witnesses. These documents were in many cases referred to by Members in questioning or by witnesses in giving their evidence. 6.28 The 2013 Act implicitly assumes that the Committee conducts the investigation and this is the model which was used for the Banking Inquiry. However there are other models which can be used. 6.29 Where the investigation is conducted by the Committee, time and privacy is required for the investigation phase leading to public hearings. This phase requires the engagement or recruitment of a number of persons with specialist knowledge and skills to assist the Committee. While the specific expert knowledge requirements will vary depending on the scope and subject matter of the inquiry, all inquiries will need strong leadership and programme/project management skills. In the case of the Banking Inquiry, an 18-strong investigation team was recruited to support the Joint Committee, from banking and financial services, regulatory and public service backgrounds. 6.30 The Investigation Phase involves a heavy workload, including scoping of lines of inquiry, compelling documents, reading and reviewing documents, preparation of potential witness pool and distillation into witness lists, dealing with queries from Committee members and briefing the Committee collectively in advance of public hearings. In the case of the Banking Inquiry, this phase commenced on 1 December 2014 and ran throughout the inquiry, only being fully completed in July 2015. 6.31 This suggests an approximate minimum time-frame for the preliminary investigation leading to public hearings of 9-12 months. Under the Act as currently devised, the investigation is conducted by the Committee with the expert support of persons engaged to assist the Joint Committee under section 67(2) of the Act. In practice, this means that the Inquiry Committee must sit in private for up to 12 months to direct the investigation and make all key decisions under the Act. Absent any constitutional barriers, it would be more efficient if the Committee could appropriately delegate scoping and preliminary investigation to expert staff who would then prepare a preliminary report, upon which the Committee would base its planning for witness selection and public hearings. 6.32 An alternative model is the Committee of Public Accounts (PAC) and the Office of the Comptroller and Auditor General (C&AG). It is open to PAC to submit proposals to conduct an Inquiry under the 2013 Act within its terms of reference and, if agreed, the preliminary investigation is conducted by the Office of the C&AG, which has its own powers under the Constitution and in law. A further alternative model is to conduct an inquiry into a report prepared by a statutory body or a Commission of Investigation. 6.33 However, without a pre-existing investigation and preliminary reporting structure, Committees will have to (as the Banking Inquiry had to) recruit skilled staff who, under the current statutory framework, can only act under the detailed direction and control of the Committee. 6.34 The Joint Committee recommends that the Act should be reviewed to make specific provision for the conduct of the preliminary investigation phase of inquiries by expert staff of the Committee and appropriate delegation of powers to staff, where constitutionally permissible. 6.35 If an Oireachtas investigation model is to be used, Committees need flexible and quick access to the necessary staffing resources. Committees would benefit from the services of a small, core section, which would house expertise for parliamentary inquiries and would have the capacity and flexibility to quickly source and provide the necessary staffing supports to Committees, either in the preparation of Relevant Proposals or in the conduct of a Part 2 inquiry. 6.36 The Joint Committee recommends that the Houses of the Oireachtas Service should explore the establishment of a new Oireachtas Investigations Unit to support Committees in developing inquiry proposals in the 32nd Dáil (See also Chapter 8 re staffing). 6.37 The Joint Committee’s objective in the Nexus Phase was to hear oral evidence from the main relevant witnesses who had key roles leading up to, during and after the crisis having regard to the institutions being inquired into and the evidence and documentation provided to the Joint Committee. Given the wide scope of the inquiry terms of reference and the need to complete the final report within the lifetime of the 31st Dáil, it would have been impossible for the Joint Committee to examine individual cases or to bring in every witness that was suggested or requested. 6.38 The Joint Committee adopted a structured and objective witness selection process which took the terms of reference, themes and key lines of inquiry as a starting point. Key questions to be answered were then identified and confirmed by documentation review and analysis. The next step was to identify witnesses who, by virtue of their role, tenure and institution, were in a position to provide relevant evidence to the Joint Committee. This potential witness pool was reviewed and prioritised to identify witnesses to be directed to attend at public hearings (“public hearing witnesses”) and non-appearing witnesses who were directed to provide written witness statements only (“non-appearing witnesses”)39. 6.39 Names and dates for public hearing witnesses were agreed by the Joint Committee in six separate tranches and names for non-appearing witnesses were agreed in six batches. Under the witness management protocol in compliance with the Act, there was a seven to eight week lead-in for public hearing witnesses between the notification to the witness and the public hearing date. For non-appearing witnesses, the lead-in was slightly shorter, at six weeks approximately for the written statement to be provided. 6.40 Statements from witnesses for public hearings were published on the website on the day of the public hearing. Statements from non-appearing witnesses were published in batches by decision of the Joint Committee40. change in scope of lines of inquiry to be covered in their statements. 6.42 The Joint Committee considered submissions on a case by case basis. The Joint Committee acceded to requests for time extensions or date changes where these were reasonable and it was feasible to do so, having regard to the time constraints under which the Joint Committee was operating. As the public hearings progressed, the Joint Committee had less leeway to offer flexibility on appearance dates to witnesses. In the case of illness, witnesses were excused on production of a medical certificate. 6.43 Chapter 7 gives further detail on the use of directions by the Joint Committee. 6.44 Under the Act the Joint Committee was required to provide advance notice of witness evidence to persons where their good name is impugned therein, to afford them an opportunity to respond (“section 24 letters”). 6.45 Where the Joint Committee considered it appropriate to do so having regard to fair procedures, the Joint Committee was also required to provide a transcript of oral evidence given to the Joint Committee to persons referred to in public hearings (“section 25 letters”). Such persons could then furnish a response to the Joint Committee if they so wished. 6.46 Response statements to section 24 and 25 letters were considered on a case by case basis and published by decision of the Joint Committee. 6.47 The public hearings in the Nexus Phase commenced on 22 April 2015 and concluded on 10 September 2015. The Joint Committee sat in public to take oral evidence under oath on Wednesday and Thursday each week, with Tuesday’s meeting reserved for briefings in private session. In general, oral evidence was taken in two separate sessions, morning and afternoon, although towards the latter stages of the public hearings, three to four sessions became a feature on many days. use of written statements for material clarifications required following public hearings. the legal requirement for all Joint Committee members to be present for all witness evidence leading to findings of fact. 6.50 The Joint Committee notes the size of previous Inquiry Committees, all of which were dedicated sub-Committees of established Committees. 6.51 The relatively large size of the Joint Committee had a material impact on the number of witnesses called to public hearing and on the duration of public hearings. The original estimate of 50 public hearing witnesses rose to nearly double that figure following detailed Joint Committee deliberations in order to fully facilitate members’ requests. 6.52 All eleven members of the Joint Committee, including the Chair, participated in questioning the majority of witnesses during public session, with two rounds of questions per member being allowed. This gave rise to very lengthy days on occasion, especially where there were more than two witness sessions. 6.53 The Joint Committee is strongly of the view that all members of an Inquiry Committee should have parity and be treated equally in questioning, including as between both Houses, and does not generally support an approach where some members would not participate in questioning witnesses, even on a strict rota basis. The Joint Committee reluctantly had to change its approach for certain witnesses and panels towards the end of the Nexus public hearings, as there was significant pressure on some days with up to four separate witness sessions, some of which involved panels. The Joint Committee is satisfied that there was value in the parity approach to ensure fairness in allocation of time to members for questioning. 6.54 The size of the Joint Committee also impacted on the general workload of the investigation team in supporting the Joint Committee. The team had regular ongoing contact with all members of the Joint Committee and their parliamentary assistants on an individual basis throughout the inquiry, in addition to supporting the Joint Committee collectively through private and public sessions. 6.55 The Joint Committee recommends that membership of future Part 2 Joint Committees of both Houses be limited to a maximum of seven members. 6.56 As part of the closing of evidence for the final report, the Joint Committee identified a requirement for a number of clarifications on specific questions arising from oral or written evidence previously given to the Joint Committee. 6.57 These were requested on a voluntary basis from witnesses (due to time constraints) and subsequently published by decision of the Joint Committee44. 6.58 The Joint Committee adopted detailed information management protocols to ensure the confidentiality and security of documents and evidence given to the inquiry. 6.59 Despite the measures put in place, leaking and unauthorised publication by certain media outlets of witness statements and documents which had been designated as confidential by the Joint Committee became a serious issue during the inquiry. The Joint Committee was extremely concerned by these disclosures and reported several instances to An Garda Síochána as potential criminal offences45 under the 2013 Act. 6.60 Publication of a document given by the inquiry to a person is a criminal offence under the Act. However there are no specific sanctions attaching to the members or staff of the Joint Committee under the Act46, other than the sanction of the Houses in the case of members and general breach of contract in the case of staff. 6.61 The Joint Committee recommends that comprehensive and appropriate sanctions for unauthorised disclosure of confidential material be put in place for future inquiries, to cover members of the Houses, and the staff of members and of Joint Committees. 6.62 The Joint Committee agreed a report structure consisting of three volumes, covering the main report, the inquiry framework and published evidence. 6.63 A first draft report was submitted to Joint Committee members in mid-November 2015 and the Joint Committee reviewed, re-drafted and amended the draft over the following weeks. The draft report was agreed by the Joint Committee on 10 December 201547.
omission of text from the draft report due to commercial sensitivity where that information is not necessary for the purposes of the Inquiry (“section 38 process”). 6.65 On approval of the draft report by the Joint Committee, the Joint Committee provided persons affected by the report with copies of the draft report (or the relevant part thereof) and requested the submission of statements on the content within fourteen days, as required by the Act48. It is not clear from the Act whether the section 38 and 39 processes are intended to be run consecutively or concurrently. The Joint Committee ran them concurrently for practical reasons on legal advice. 6.66 The Joint Committee recommends that the Act be reviewed to make it clearer that the section 38 and 39 consultation processes with affected parties can be run concurrently. 6.67 The Joint Committee met on 31 December 2015 to consider the statements received from affected parties and agreed to make a number of amendments to the Report. 6.68 Following this, the Joint Committee had to allow a statutory 21 day standstill period before the Report could be finalised by the Joint Committee and submitted to the Houses for their approval to publish the Report. After the conclusion of the standstill period, the Report was delivered to the Clerks of both Houses and published on 27 January 2016. 6.69 Under the 2013 Act and related Standing Orders, the Joint Committee could not publish its report without the prior approval of both Houses. This requirement posed practical difficulties as simultaneous decisions of both Houses were required in order to make the report public as soon as possible after its circulation to members of the Houses. The rationale for this statutory provision is unclear and the Joint Committee is of the view that Part 2 Inquiries, as with all Committees, should be empowered to print and publish their reports by laying them before the relevant House, and that there should be no need for an enabling decision of the Houses. 6.70 The Joint Committee recommends that the 2013 Act and Standing Orders be amended to remove the requirement for Dáil and Seanad approval to publish an Inquiry report. 6.71 For a parliamentary inquiry to do its work effectively, it must also be seen to do its work effectively. It was necessary that the story of the inquiry was told – clearly, efficiently and successfully. 6.72 Effective communication of the Inquiry’s work was a priority for the Chairman and the Joint Committee. 6.73 As a Part 2 Inquiry is an inquisitorial process, members were constrained from making any public comment on the evidence before them while the inquiry was ongoing. The Joint Committee also had to deliberate in private session every week, which can present communication challenges. 6.74 An effective and objective communications strategy was needed to ensure that the public and the media were informed about the work of the inquiry, while respecting the legal principles under which the inquiry operated. 6.75 A dedicated press and communications service was provided for the inquiry to engage with the local, national and international media across all platforms, whether it was print, broadcast or digital and to enhance public engagement with the inquiry. 6.76 The aim was to achieve maximum public awareness of, and engagement with, the Banking Inquiry by communicating to our audience through traditional media, social and digital media and through our own direct channels of mobile App, the Oireachtas TV Channel and a dedicated inquiry website. 6.77 A key part of communications strategy was the Banking Inquiry website, which went live on 17 December 2014, the first day of public hearings in the Context Phase. it was fully responsive and worked well across mobile devices. it Included live webcasting of all public hearings. fully searchable transcripts from all public hearings were available at the end of each day. all documentation was easily searchable. embedded videos of all hearings were posted by the end of each day. it had easy-to-find and easy-to-read information about the Joint Committee. included an easy-to-use inquiry schedule calendar. 6.79 Written witness statements were also published in batches, by decision of the Joint Committee, and posted to the website. The website also contained the schedule for upcoming public hearings, once confirmed, along with lists of notices and directions issued by the Joint Committee. 6.80 There was also a parallel and complementary social media campaign to promote the work of the inquiry, highlight the inquiry proceedings and market the website. 6.81 All public hearings were broadcast live on Oireachtas TV which was available on Virgin Media Channel 207, Sky Channel 574 and eir Vision 504. Proceedings were also webcast on oireachtas.ie and through the Houses of the Oireachtas App. 6.82 Press statements were regularly issued before and after public meetings to the media, as well as posted on the website and on social media, to provide up-to-date and relevant information on Joint Committee proceedings. The Chairman also issued press statements following each private session to inform the press and public on the work of the Joint Committee, provide progress reports and update the press and public on decisions made by the Joint Committee. 6.83 Public meetings were regularly attended and watched by the media. The work of the Joint Committee received widespread coverage in the print, broadcast and digital media over the course of the inquiry. Reports on public hearings were carried across all media outlets on a daily basis and broadcast on dedicated news channels. There were 278,938 website page views. The live stream had over 900,000 views online. There were 34,109 users over the period. There were a total of 94,084 website sessions. 81% of all website visits were from within Ireland, with the UK (7%), US (3%) and Belgium (0.75%). Finally, the website was redesigned around the report and relaunched on the day the report was submitted to the Houses. 6.85 As part of the Operating Model, the Joint Committee agreed an archiving and retention policy based around three broad categories of records. A Report – Vols. 1, 2 & 3 Permanent Published report papers to be archived permanently. B Central Bank Section 33AK Documents 12 months Retain securely on the document management system under strict access protocols as a contingency. On expiry of the retention period, destroy or return. C All other records Indefinite Retain securely on the document management system under strict access protocols. CPPs of both Houses to decide on retention policy as part of establishment of the Oireachtas Archive in 2016-17. 6.86 The Joint Committee recommends that, with the exception of Central Bank material under s33AK, unpublished Banking Inquiry material should be retained indefinitely in a secure archive under the custody of the Clerks of both Houses. 6.87 The Joint Committee recommends a contingency retention period of 12 months from the date of dissolution of the current Dáil for Central Bank material under s33AK. This is in case it is needed in the event of a claim by a witness for legal costs to the Houses of the Oireachtas Commission. On the expiry of the 12 month period, the Commission should take a decision to destroy the material (or return, if originals). 6.88 The Joint Committee recommends that all material in the Banking Inquiry Archive should be reviewed and that a retention policy for material of historic relevance should be recommended to the Committees on Procedure and Privileges of both Houses in the context of the Oireachtas Archive establishment project 2016-17. 6.89 The Joint Committee recommends that witness statements which have been redacted or not published on grounds of prejudice to criminal proceedings should be published by decision of the Committee on Procedure and Privileges, on the recommendation of the Clerks of both Houses, at an early stage once the risk of prejudice has abated. 30. Orders of Dáil Éireann and Seanad Éireann of 14 May 2014. 31. Joint Committee on Procedure and Privileges of Dáil Éireann: Relevant Report on the relevant proposal for a banking inquiry under Standing Orders and the Houses of the Oireachtas (Inquiries, Privileges and Procedures) Act 2013: laid before the Dáil on 21 November 2014. Joint Committee on Procedure and Privileges of Seanad Éireann: Relevant Report on the relevant proposal for a banking inquiry under Standing Orders and the Houses of the Oireachtas (Inquiries, Privileges and Procedures) Act 2013: laid before the Seanad on 19 November 2014. 32. Resolution of Dáil Éireann of 25 November 2014| Resolution of Seanad Éireann of 26 November 2014. See Volume 1 of this report for text. 33. Source: Relevant Proposal to the Joint Committees on Procedure and Privileges of Dáil Éireann and Seanad Éireann for the Conduct of an Inquiry in accordance with the Houses of the Oireachtas (Inquiries, Privileges and Procedures) Act 2013 into Certain Aspects of Ireland’s Banking Crisis published on 24th September 2014. 34. Context Phase Themes for public hearings are at Appendix 1. 35. Source: Relevant Proposal to the Joint Committees on Procedure and Privileges of Dáil Éireann and Seanad Éireann for the Conduct of an Inquiry in accordance with the Houses of the Oireachtas (Inquiries, Privileges and Procedures) Act 2013 into Certain Aspects of Ireland’s Banking Crisis published on 24th September 2014. 36. See Appendix 3 and 4 respectively. 37. Nexus Phase Themes and key lines of inquiry are at Appendix 2. 39. See Appendix 5 for list of witnesses. 41. Joint Committee on Justice, Equality, Defence and Women’s Rights, Sub Committee on the Abbeylara Incident (2001). 43. Joint Committee of Public Accounts, Sub Committee on Certain Revenue Matters (1999-2001). 44. See Appendix 5 for list of witnesses who provided responses. 47. See Minutes of Proceedings Appendix to this Volume. 49. These documents can never be published as the statutory gateway under the Central Bank (Amendment) Act 2015 closes when the Joint Committee dissolves. 50. Includes all material received by the Inquiry and not published by the Inquiry, along with correspondence and private session minutes. Also includes un-redacted versions of documents and witness statements published as part of Volume 3.